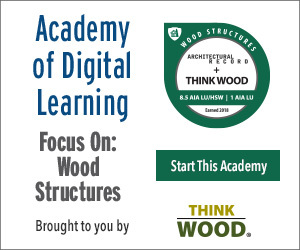 This webinar will explore innovative uses of wood in building design, focusing on mass timber and cross-laminated timber (CLT), and profile two unique projects that embody the aesthetic, environmental, and structural strengths of wood as a building material. Joseph Mayo, AIA, LEED AP, an architect at Mahlum, winner of a 2016 AIA Associates Award, and renowned author of Solid Wood: Case Studies in Mass Timber Architecture, Technology and Design, will provide an overview of the wood renaissance in the industry and the overall benefits of using wood in the construction of modern building projects. 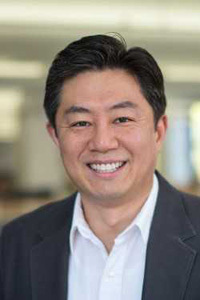 Tom Chung, AIA, LEED AP BD+C, principal at Leers Weinzapfel Associates (LWA), will present on the highly touted UMass Design Building, with a basic focus on where and how mass timber and CLT fit into the design process. 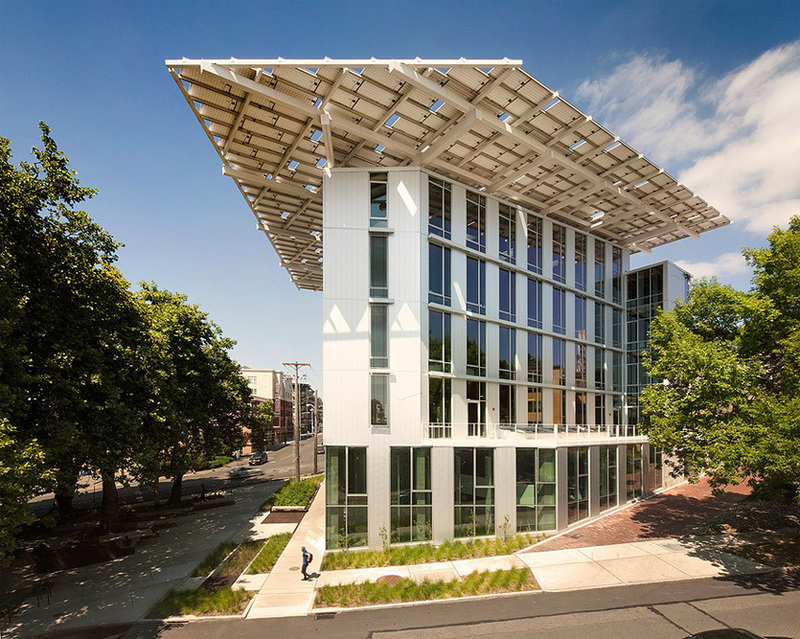 Photo courtesy of Think Wood, Inc.
Tom S. Chung's, AIA, LEED BD+C, Principal Leers Weinzapfel Associates Architects. journey from Seoul, Korea, where he was born to the United States where he has been raised and educated gives him a deep multicultural understanding of design in its cultural context. Educated at the University of Virginia and the Harvard Graduate School of Design, he is a dynamic and talented design leader with the ability to inspire others. In his more than 20 years with the firm, Tom has been the primary designer for a number of the firm’s most prominent award-winning projects. As adjunct faculty, he has taught design studios at Northeastern University School of Architecture, exploring architecture and urban design subjects, and has been a juror at design reviews, including the Graduate School of Design at Harvard University. 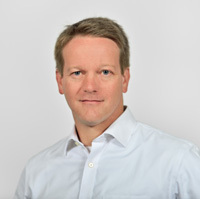 Brian Court AIA, Partner The Miller Hull Partnership LLP AIA National Firm Award Recipient demonstrates outstanding design excellence and leadership in his work advancing complex programmatic demands, rooted in a rigorous performance-based design process. His involvement with numerous high-profile and complex landmark design projects, and deft combination of both time-tested and innovative design strategies and emerging technologies, has earned him the reputation as an advocate for groundbreaking sustainable design. A graduate of the College of William and Mary and with a master’s degree from the University of Washington, Brian received the AIA Seattle Young Architects award in 2013. 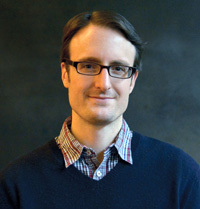 Joseph Mayo, AIA, LEED AP, Associate Mahlum | Architects Inc. is an architect in Seattle and author of the book Solid Wood: Mass Timber Architecture, Technology and Design. At Mahlum, he advised on the first installation of Oregon-made structural cross-laminated timber (CLT) in the country and is currently working on a series of CLT classroom buildings in Washington. Joseph is a frequent writer and speaker on wood architecture and the economic viability of large timber buildings.